A tune-up is one of the most important services for your vehicle, and an effective way to prevent unexpected engine trouble, and costly repairs. During an engine tune-up at Four County Import Service, in Mt. Airy, MD, our ASE certified mechanics will thoroughly look over your vehicle and may replace the spark plugs, spark plug wires, air filter, fuel filter, distributor cap and rotor in your vehicle. Our tune-up experts will also check belts and hoses, emission levels, and fuel lines. Regular tune-ups and engine diagnostics can help the performance of your vehicle and extend its life. 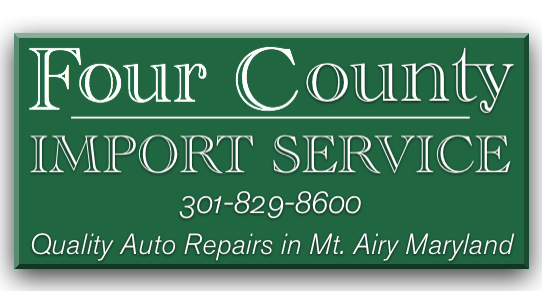 Four County Import Center Mount Airy, MD and surrounding areas in Montgomery County, Howard Count, Frederick County, and Carroll County with quality tune-ups for all makes and models of vehicles. Give us a call at 301-829-8600 or stop in today!